There has been great deal of media attention regarding selecting plants for ones garden to attract and support pollinators, particularly bees and butterflies. Last week I caught a glimpse of another busy garden guest feeding on the vibrant tubular blue flowers of Salvia guaranitica ‘Black and Blue‘ planted in one of the circular beds close to the Kitchen Garden. More of this eye catching annual can be seen in the black metal window boxes around the spiral mound. When I am asked to share tips on container gardening, I like to remind people that the plants we chose to combine in our containers should do more than just look good. 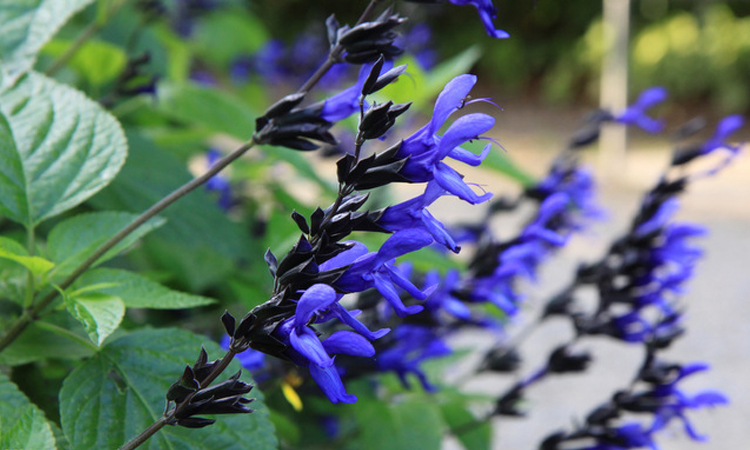 As is the case with Salvia guaranitica ‘Black and Blue’, beautiful to look at and much loved by hummingbirds. Consider joining me of one of my upcoming container classes where I will share with you more of my timely tips on creating dramatic seasonal containers. 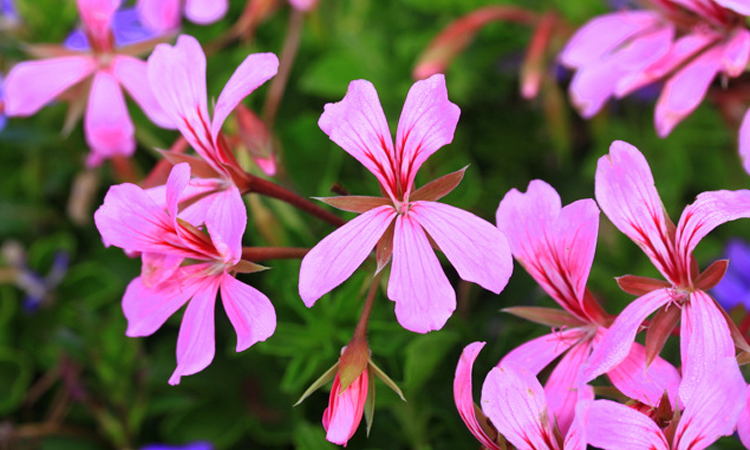 I have also seen hummingbirds feeding on the blossoms of the Pelargonium ‘Balcon Pink’, Balcon Pink Geraniums planted in the window boxes lining the walking path to the top of the mound. 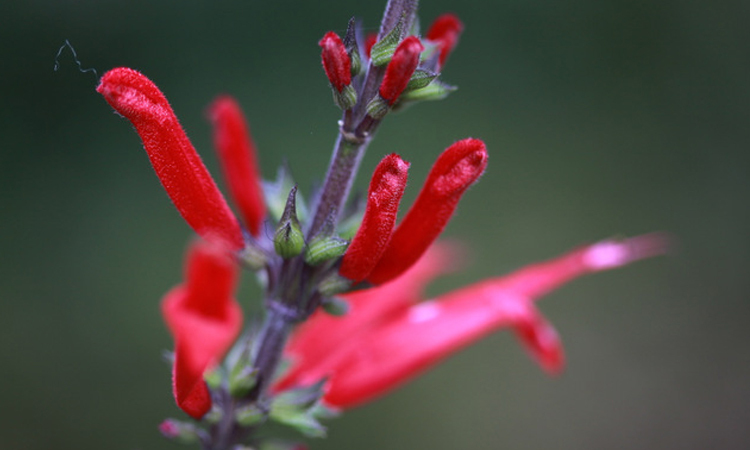 You might also catch a peek of these busy little creatures sipping nectar from the brilliant red blossoms of the pineapple sage, Salvia elegans planted in both the Kitchen Garden and the Teaching Garden. Be sure to join us in the Teaching Garden this weekend for Harvest Day. 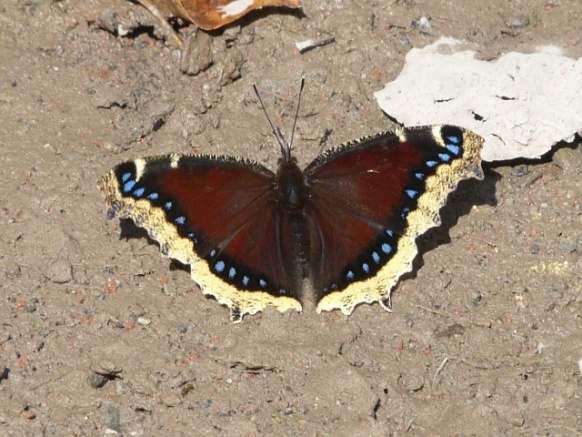 Who knows, you might also catch glimpse of this guest in our gardens.